IRLP Node 6214 on VK5RSB 70cm off air! The Amateur Radio Experimenters Group are sorry to inform the amateur radio community and the users of the IRLP node 6214, that the node is off air for the immediate short term future. 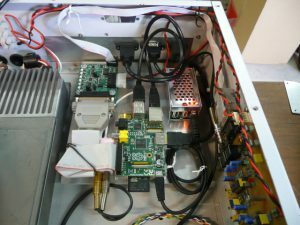 The IRLP node computer, a Raspberry Pi 1, was a victim of the lightning storm over Adelaide Tuesday evening on the 2nd October. The QTH from where the equipment operates, was directly under a large lightning bolt, which did not strike the ground or local area. 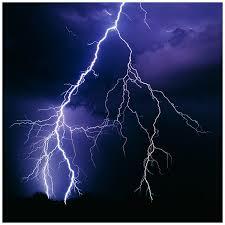 It appears though, that the Electro Magnetic Pulse from the lightning bolt did impact immediately below and caused inducted currents in the LAN Ethernet cables connecting the Raspberry Pi to the QTH computer LAN system and the NBN. The effect of this induced current on those Ethernet cables, took out the QTH modem and the Ethernet ports on the IRLP Raspberry Pi and the shack computer. All other equipment was or does not appear to have been affected. A call has gone out for a replacement Raspberry Pi 1 as it would be a drop in replacement. If a Raspberry Pi 1 cannot be obtained then later models can be used but, a new operating system image will need to be built up. So, until a replacement Raspberry Pi is installed, unfortunately the IRLP node 6214 will be off air. We will keep you posted when updates are available. This entry was posted in IRLP Node #6214 by VK5BB. Bookmark the permalink.